Finding time to work out is difficult at best. Juggling work and family takes up most of the time available in a day and after you’ve eaten dinner, changed clothes, and relaxed for a while, it takes a lot of motivation to then hit the gym. Having a personal training like Julian Walker can hold you accountable though, and provide extra motivation when you’re lacking. In order to start, you have to decide to do so. Until you make a firm decision that you are going to make working out a habit, you won’t get it done. Decide that this is the time to start and do it. This is one of the important parts of beginning your fitness regimen. While we clearly recommend TRX training as the most bang for your buck, so to speak, you should choose a routine that you enjoy and will actually stick with. Weight loss doesn’t happen overnight and intangible goals will sabotage your progress. Set a goal you can reach and once you beat it, set another one. It takes two weeks to make anything a habit. So give it at least that long and watch the results start happening. With TRX training, you lose fat and also build muscle; and if you didn’t know, muscle is heavier than fat. Because of this, the scale might show little to no movement, or worse – your weight could go up. Measuring yourself is more indicative of how the routine is working. Or just pay attention to how your clothes fit and how much stronger you feel or how much more endurance you have. Allow yourself to splurge once a week and then get back at it – don’t beat yourself up over an occasional splurge. 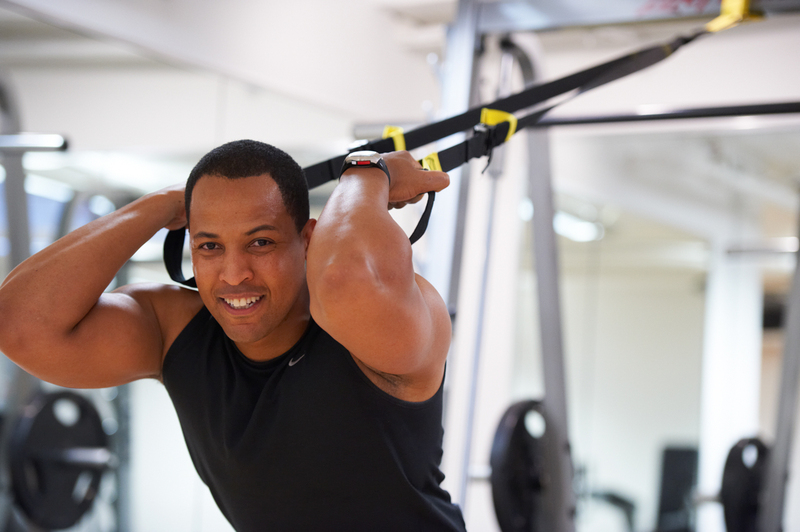 If you’re sticking with your TRX training, then you deserve a treat every now and then. Your body needs time to rest and heal itself. Rest days allow your body to rebuild itself from the effort you are engaging in and helps increase your stamina for the next workout. Working out is a life change. Even after you have reached your goals, keep at it. It’s good for your body and will keep you in the shape you worked so hard to achieve. Once you’re ready to commit, a personal trainer can help you create a plan to help you reach your goals. Contact the Julian Walker Studio online, or schedule a private training session to get started. If you’re in Manhattan, Murry Hill, Midtown East, Flatiron or 10016, there’s no reason you shouldn’t reach your fitness goals.